(File photo) analytica-Anacon inaugural in 2016. Mumbai: The Indian analytical instrument industry is expected to grow from 0.5 billion EUR to 2.4 billion EUR between 2012-20 having CAGR of 17 percent and is poised to grow steadily. One of the major drivers for this market is growing regulations to ensure high-quality products which is in-turn making end-users more quality aware; this unquestionably comprises of the pharma, chemical, food and beverages, R&D and allied industries – where the quality needs to be conserved from molecular level; the demand for laboratory analytical instruments is assured to intensify. The trade fair will host a range of supporting programs including Bio Pharma Landscape Conference focusing on in-depth discussion on the development, challenges and implementation of quality standards pertaining to bio-pharma process, Anacon Technology Showcase (Seminar) on discussions pertaining to analytical technologies ranging from chromatographs to life sciences and more. 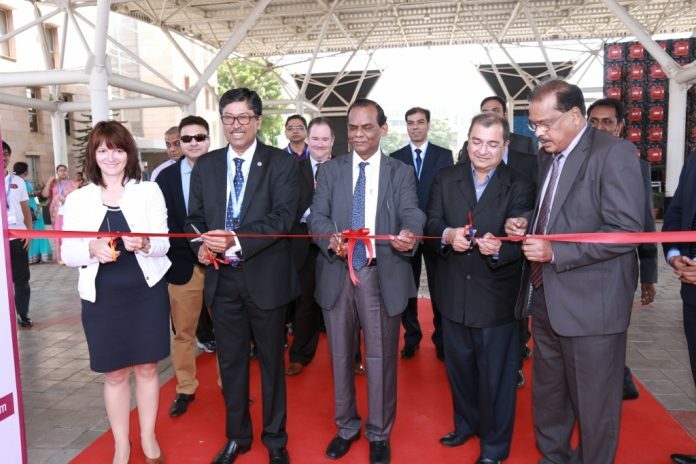 One show, two cities: analytica Anacon India and India Lab Expo will take place in Mumbai (April 25-26 at Bombay Exhibition Centre) and in Hyderabad (September 6-8, 2018 at HITEX Exhibition Centre).